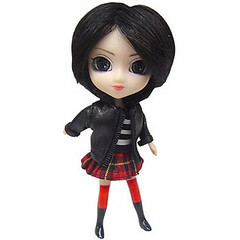 Little pullips are a miniature version of pullips. 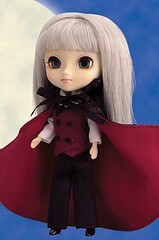 Some are based on full-sized pullips and some are based on original ideas. 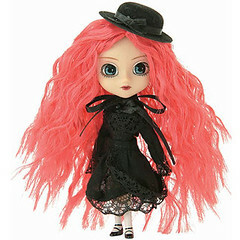 To date Little Paja and Froggy are the only little pullips to have been made into a larger size pullips. 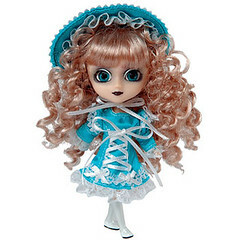 Little Pullips are not as articulated as their bigger counterpart and their eyes are not mobile like Pullips (they can not look left/right or blink). They are approximately five inches tall. 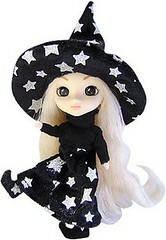 Starting with Swan, Little Pullips all came with a pin with their likeness on it and a stand. 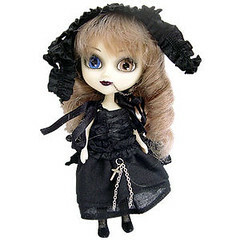 Little Pullip was discontinued in early 2007, the line was in a state of flux as no one knew if they were completely discontinued or only on hiatus. 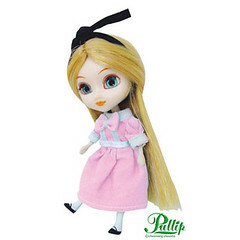 In late 2008 a new line of Little Pullips as well as a line of Little Dals was announced. The new minis have redesigned face sculpts and bodies. 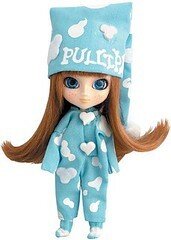 Feel Like So- Pajama party tonight!Let’s knock out everyone with special costume!! …Feel like so. Feel Like So- Roar Roar!! Wanna be strong monster and get costume like this… Feel like this. Let’s have a sweet dream. 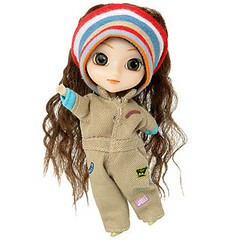 Note- Little Pullip Paja was the first Little Pullip to serve as the inspiration for a full-sized released, in this case Pullip Paja. Feel Like So- Like Anne Shirley, I want to dream away that I like surrounding beautiful nature. Feel Like So- In the darkness where I can feel comfortable. Only white moon can shine me … …Feel like so. 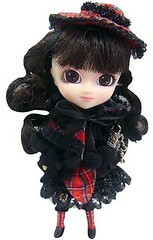 Note- Based on the full-sized release Pullip Noir. Feel Like So- A wonderland like dream…I am chasing the rabbit and wandering into there…Feel like this. 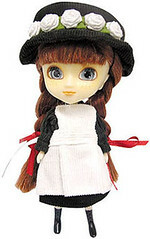 Note- Palette swap of Little Alice (blue) who was based on full-sized release Fantastic Alice. Feel Like So- I’ll beat the heat! I need to work vigorously today Phew・・・・・・Feel Like So. Feel Like So- The sweet taste of the tragic love story. Scent of strawberries is strawberry aroma fragrance scent of love … Feel Like So. 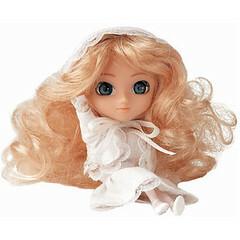 Note- First and only two-pack of Little Pullips released. 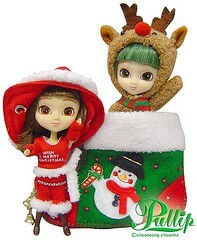 Little Pullip Carol is based on the full-sized release but Little Rudolph is an original design. Feel Like So- I LOVE PUNKS! Live hell doll love tonight I enjoy the mood and tone to the bottom of hell. Feel Like So- Sleepy sleepy dream time soon …Eyelids become heavy and the mood I want to happen yet. Feel Like So- My dream from my childhood. It comes true now. Soar! Feel Like So- Where Are You? Where Are You? Here Mercu. Aliens captured one fish! Great!.. Feel Like So. Feel Like So- Yes, here Jupi. Patrolling the universe today. The mood we are going to guarantee security. Feel Like So- Blue sky, white clouds and sounds of waves make me clear. I want to be ‘ Me’ with pure & clear feeling to the end of time… …Feel like so. Feel Like So-The scarlet kimono and doll are like my style. I love time taking with AI sitting on the veranda… Feel Like So..
Feel Like So- The indigo blue kimono and doll are like my style. I love time taking with AKE sitting on the veranda… Feel Like So..
Feel Like So- Singing like Kero Kero, Jumping like hop Step, I am in full throttle in rainy days… Feel like so. 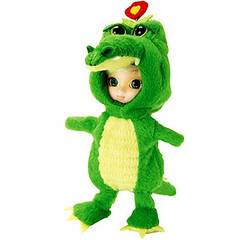 Note- Little Pullip Froggy was the second Little Pullip to transition from a Little Pullip to a full-sized Pullip release. 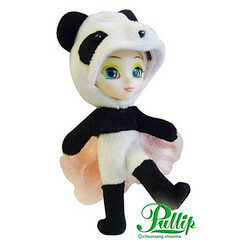 The full-sized Pullip Froggy was a limited edition release exclusive to Pullipstyle. Feel Like So- Lonely flavor the end of summer. I remembered the love that Ive had to forget…feel like it. Feel Like So- Raven-black wings, gimlet eye, Is the world a real or an illusion? Oasis like mystery emits dark light… …Feel like this. 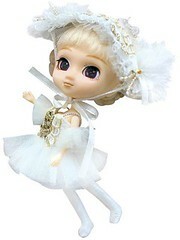 Note- Based on the full-sized release Pullip Cornice. Feel Like So-MUSIC in my mind anytime. Check new staffs out every day, dance to the beat!! Feel Like So- I have been exposed to the cold rain since I can remember… Tears are weak and insignificant. …Feel like so. Feel Like So-Lowing lowing, I am sitting under the sun in the wide filed of grass. I am already full…Feel like so. Feel Like So-Look at my stately beauty. Nobody is better than me. Do you know why? I am a princess… …Feel like so. Love this site. I have collected about 9 of these little cuties. My only complaint is I wish more stores carried them. 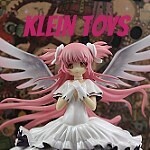 I actually have only found one store in N.C. around where I live that sell them. And when they do get them in, they only carry two at a time. And until they sell they don’t get anymore in. 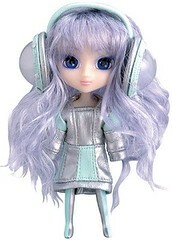 Does anyone know of any stores in N.C. that carry these dolls in their stores? Would appreciate hearing from someone. Lol Thank you .